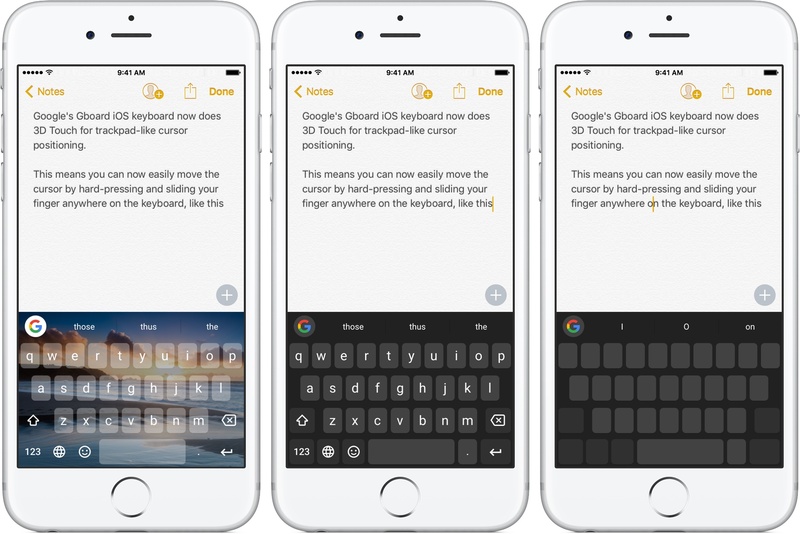 Google’s Gboard keyboard for the iPhone, iPad and iPod touch was bumped to version 1.2 on the App Store this morning, gaining a few new features such as more than a dozen new themes, support for trackpad-like functionality on 3D Touch devices akin to the stock QuickType keyboard, the ability to search and share your contacts without leaving the conversation and support for the new iOS 10 emojis. With 3D Touch on the iPhone 6s/7 series, press anywhere on the keyboard and slide your finger to move the cursor around. 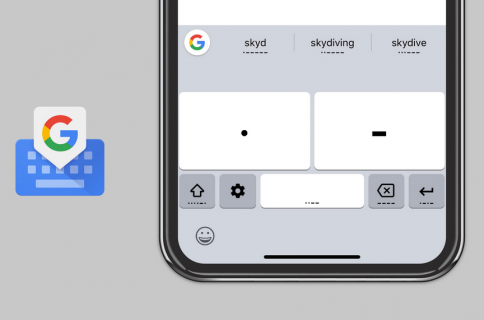 Unlike Apple’s stock QuickType keyboard which allows for precise positioning by letting you move the cursor up, down, left or right, Google’s implementation only lets you move the cursor horizontally. This is a major pain point because if you want to move the cursor, say, two lines up you’ll need to slide your finger multiple times to get there. 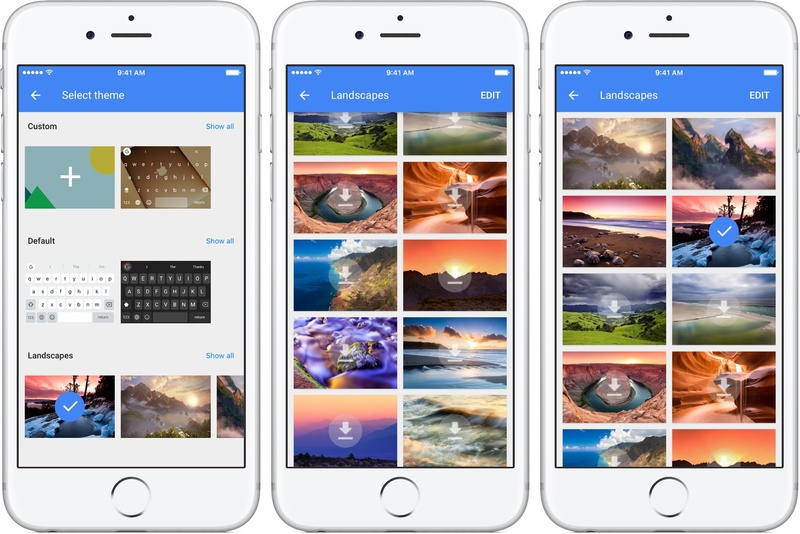 There are also brand new themes, 14 in total, that put breathtaking landscapes on your keyboard. 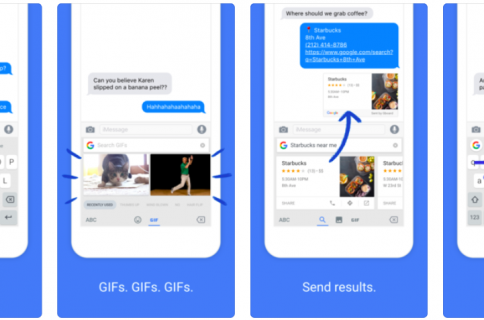 To browse them, launch Gboard’s helper app on your iOS device, tap Themes, hit Show All next to the Landscapes heading and tap one you wish to use. These new scenery images will give your keyboard some interesting new looks but in my personal experience, having a colorful photograph in the keyboard’s background is a distraction for typists. As mentioned, Gboard 1.2 for iOS also includes support for all of the new emojis Apple added in iOS 10, including ones showing gender diversity. Lastly, to search and share contacts with Gboard without leaving your conversation, you must enable a new Contacts Search option in Search Settings of Gboard’s helper app. Grab Gboard for free from the App Store.